If you have any questions about the ELECTRA information page below please contact us. 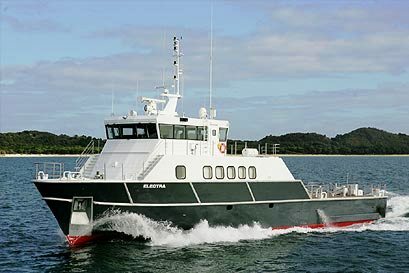 The motor yacht ELECTRA is a 37 m 122 (foot) well sized aluminium vessel which was newly built by Austal and conceived from the design board of Austal. 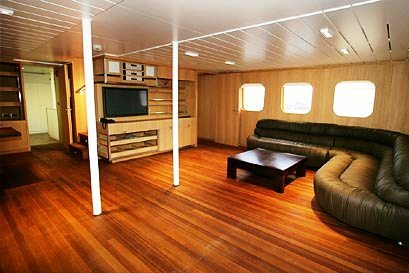 Accommodating 8 passengers and 4 crew members, motor yacht ELECTRA was previously called 282. The naval architect that made the design with respect to this ship was Austal. 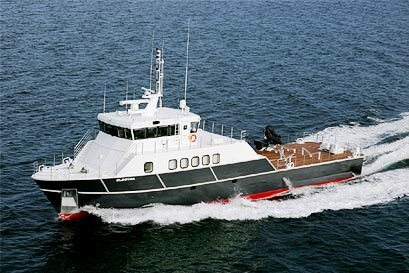 Austal Inhouse Yacht Design was the naval architecture company involved in the technical superyacht design work for ELECTRA. 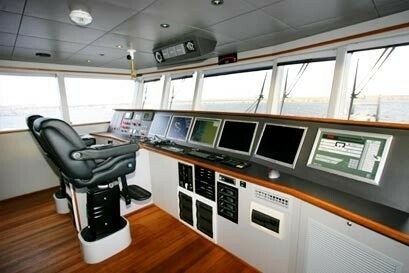 Austal is also associated with the yacht general design work for this boat. 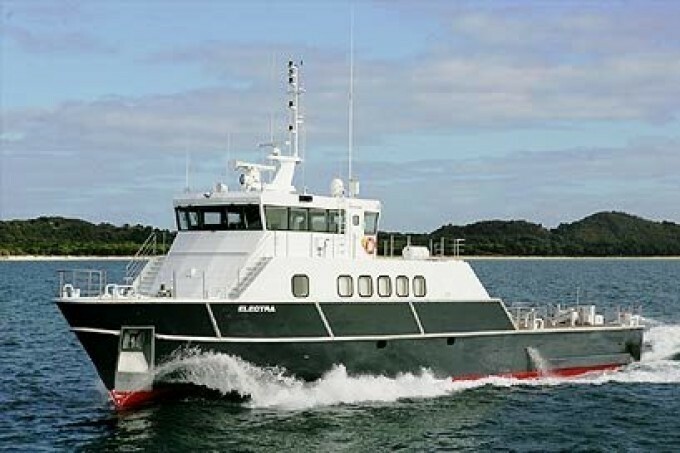 Built by Austal the vessel was completed in the known yacht building country Australia. She was officially launched in Henderson Wa in 2005 before being handed over to the owner. The main hull was constructed with aluminium. The motor yacht superstructure is made for the most part using aluminium. With a width of 8 metres or 26.25 feet ELECTRA has spacious size. A fairly shallow draught of 2m (6.56ft) affects the amount of worldwide ports she can berth in, taking into account their particular depth. Powered by twin CATERPILLAR diesel engines, ELECTRA will attain a top speed of 18 knots. ELECTRA is propelled by twin screw propellers. Her total HP is 2198 HP and her total Kilowatts are 1640. 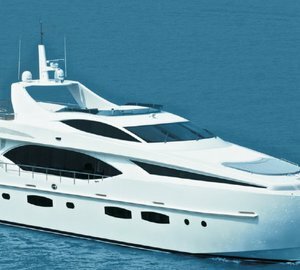 The well proportioned luxury yacht motor yacht ELECTRA can accommodate as many as 8 guests in addition to 4 qualified crew. 37.1 metres / 121.7 feet. Main Engine(s) is two 1099 HP / 820 Kilowatts Caterpillar. The Model type is 3508B diesel. Total engine power output 2198 HP /1640 KW. ELECTRA features a teak deck. The luxury yacht ELECTRA displayed on this page is merely informational and she is not necessarily available for yacht charter or for sale, nor is she represented or marketed in anyway by CharterWorld. This web page and the superyacht information contained herein is not contractual. All yacht specifications and informations are displayed in good faith but CharterWorld does not warrant or assume any legal liability or responsibility for the current accuracy, completeness, validity, or usefulness of any superyacht information and/or images displayed. All boat information is subject to change without prior notice and may not be current.